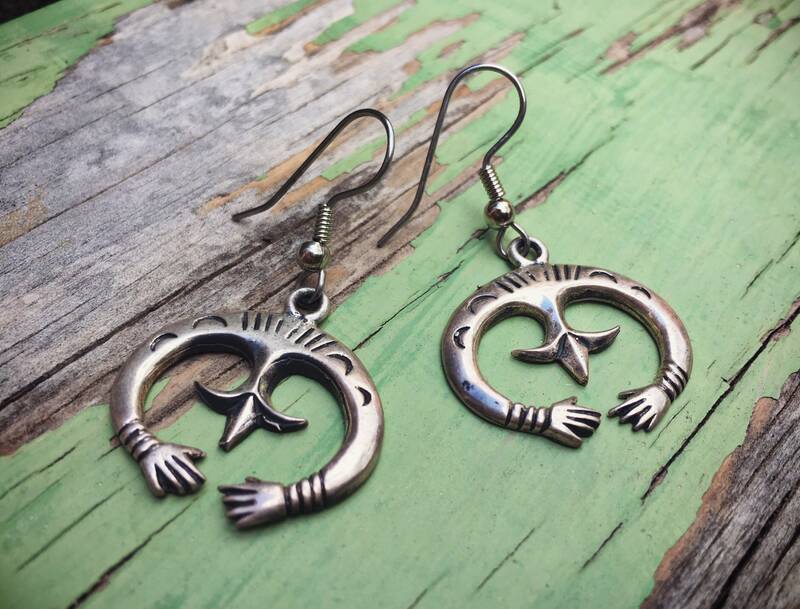 Here we have a small and lovely silver sandcast earrings in the shape of the naja, that crescent form featured in most squash blossom necklaces. The naja was brought to the New World from Spain and Morocco and adopted by the Navajo and other Native Americans. 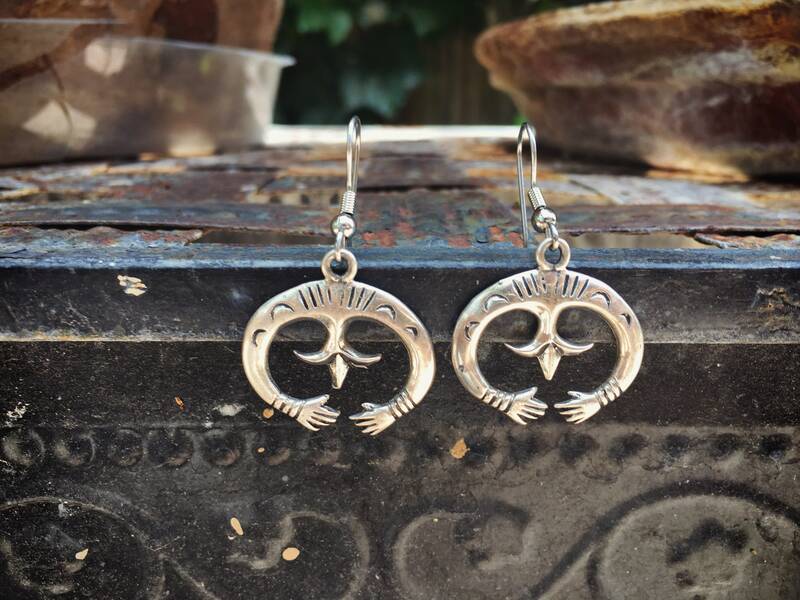 These earrings are all silver and what I love most about them is the well defined hand forms at the ends of the crescent. 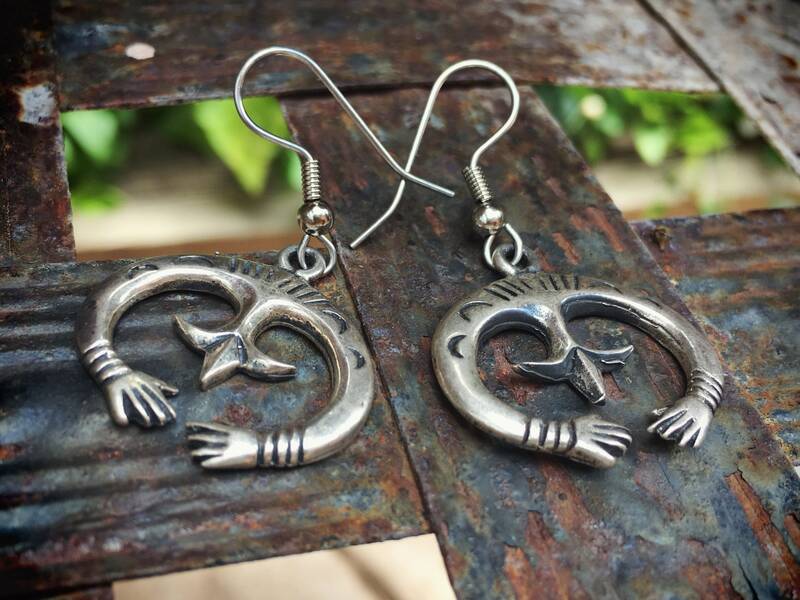 The earrings are not large yet perfect for someone with short hair and/or anyone who loves the hand form--an artist, writer, Gemini. As they are unsigned, we cannot say for certain that it is Native American; we believe they are Navajo. 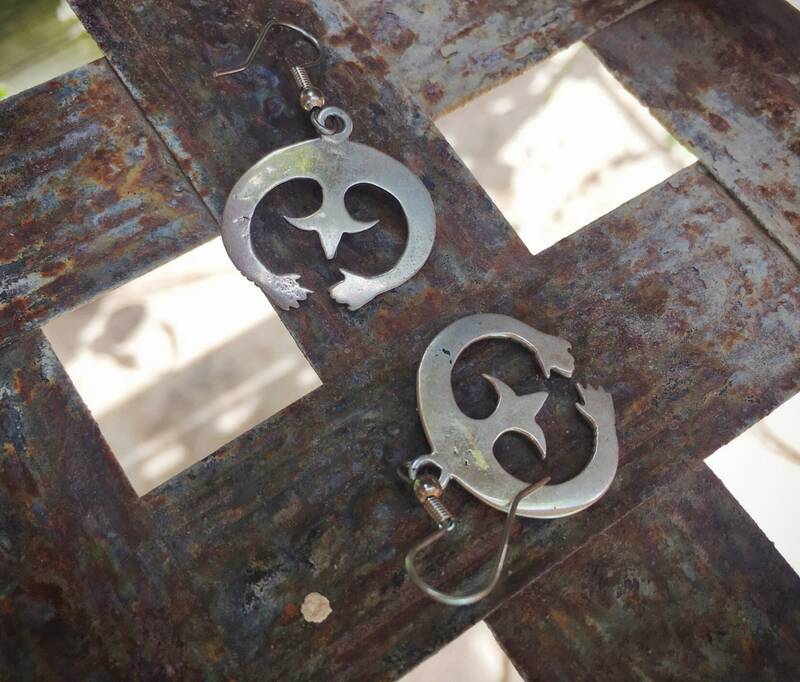 Each earring measures just under 1" wide by 1" long with a drop length of just over 1-1/2". As these photograph much larger than they are, please measure out the dimensions to be sure you are aware of the size. In good condition. 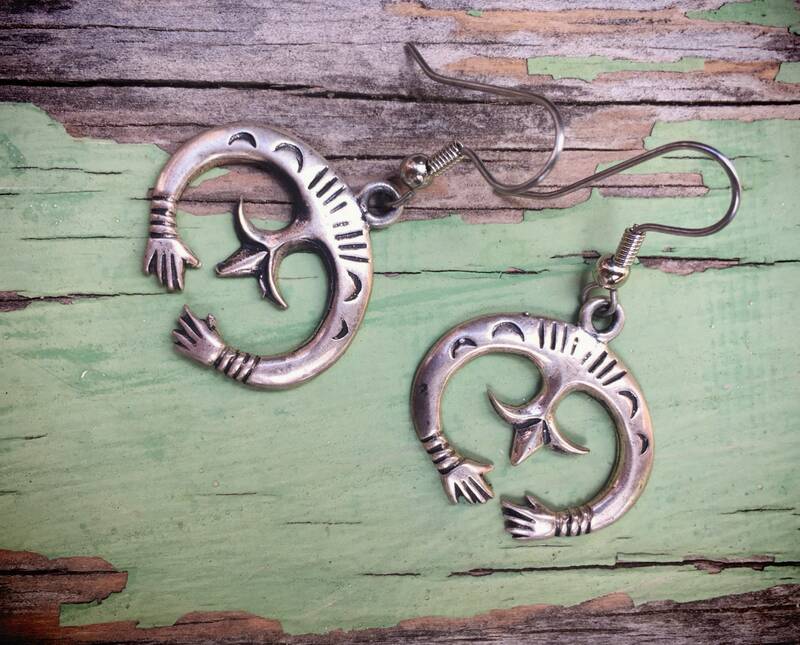 I have been looking for the perfect naja earrings and found them here! They were carefully packaged and shipped immediately. I will definitely be a return customer.